Japan is going to make me broke! I wonder why this aesthetic isn't translated to English-written books. Oh lovely - I really like the tweedy red ones. Great that someone else realises it's never too early to foster a shoe fetish. wow! thanks for the incredible friday morning eye candy. the shoes your working on are just too sweet. I keep reading part of this entry as "a bag to put the baby in", which may or may not be intentional, but it gave me a good chuckle. I am a lurker usually but I have to tell you that everything you create is so cute. 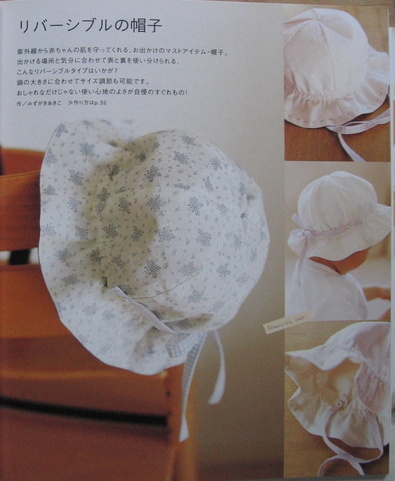 I wish I had the patience to sit at the sewing machine and was able to read Japanese. The shoes are adorable! Oh, baby shoes to die for. this is one of my favourite books too, even though my little girl is now too old, and so are everyone else's kid! 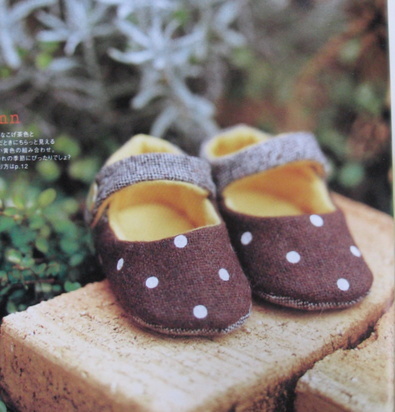 oh i love those brown polkadot + grey shoes, how gorgeous are they?! and all the others really. 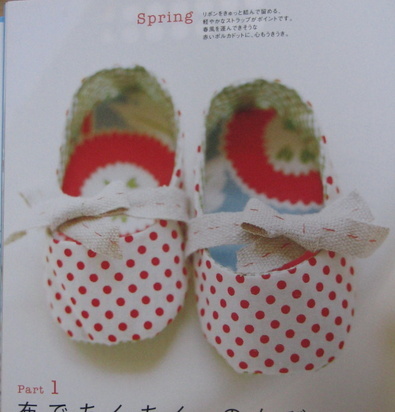 omg, the little red and white polka dotted ones are killing me. 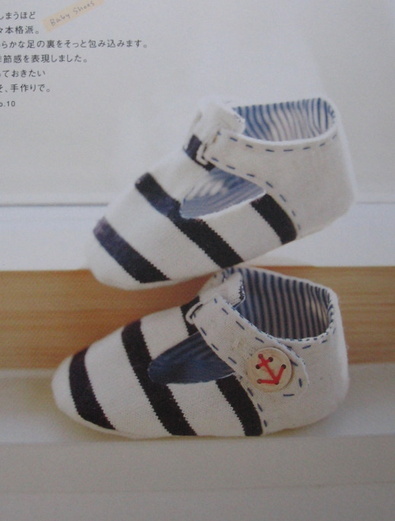 it's a good thing there are so many new little feet out in blogland needing cute little shoes! off to buy this book now...thanks for the link! Put the iron down. Back away. Go and do something more interesting. There's nothing to see here. - Lyn, no-one got to the end of their lives wishing they'd done more ironing. Do less. I give you permission. 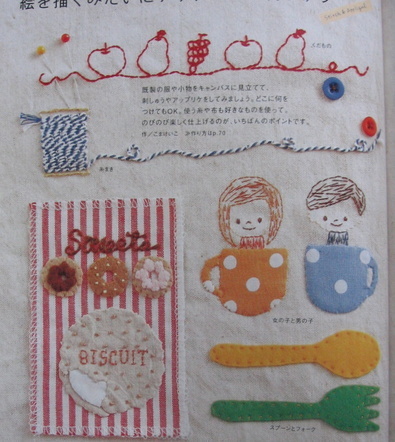 ohhhhhhhhh I have this book and have only managed the little embroidered leaf and flower but its such a cute book! those shoes have me inspired! I've also seen these booties on flickr and ever since wanted to make them. Need to get the book! Love the stitching on the shoes you're making! what cute inspriation. 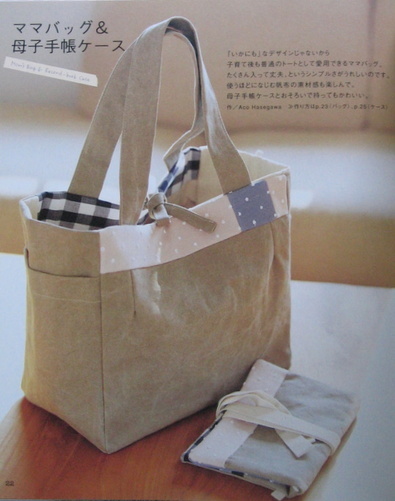 love that linen tote to carry all the crap around...I mean things. I sure love reading your blog. you make me laugh. 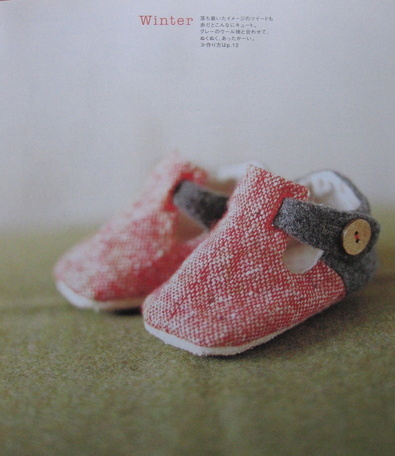 Love the little shoes - making me feel just a tad broody, must stop looking at them before I go and do something silly!! The shoes you made are so, so darling! The bunny is just too much. What a lovely, organic color you chose! love everything in this book. 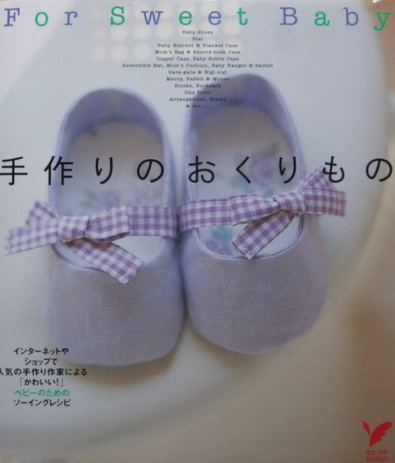 beautiful little shoes. Just wishing all my favorite bloggers a happpy mother's day! Beautiful projects and photos as always! I wonder if I keep enlarging the patterns, will I end up with a size 5?!! 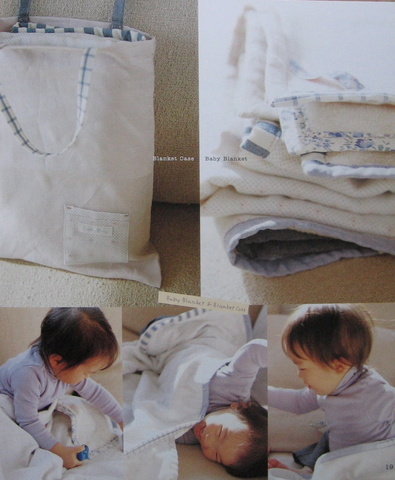 They make you want a tiny bundle to make them for...well, perhaps not entirely one of your own, just acsess to one!! 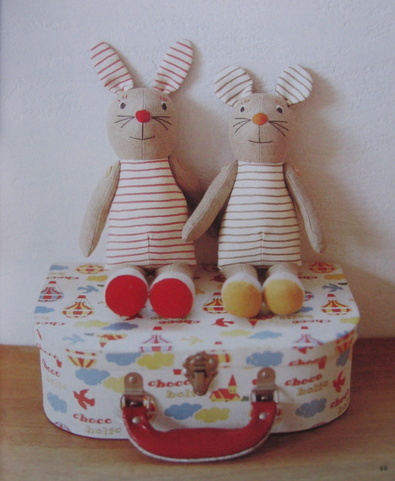 Love the grey/black polka dots and the rabbit...I want at least one. 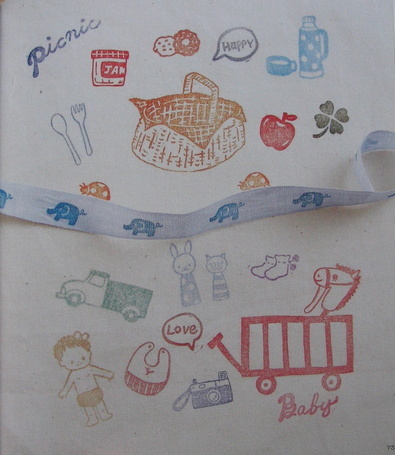 What a cute book full of inspiration! Beautiful adorable shoes. I wish my baby had feet small enuf to still fit into such things...he's turned into a boy before my very eyes. So much inspiration! I love the shoes and embroidery... I wish I could find my floss, oh, and lots more free time! HUM! esse livro é uma delícia! em tempo também o referi no meu blog. Os teus trabalhos são magnifícos! See now, you've done it again--posted just the right book to help me round out my Yesasia order. And I don't even have any babies, just getting bigger girls. What am I thinking? 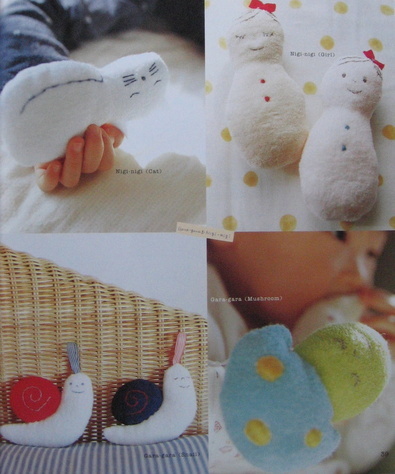 But surely there will be other babies to make things for. What a lovely book. Thank you for sharing! The baby shoes are so cute I think my heart kinda stopped for a second. Oh I looove the little baby shoes, I can't wiat to have a baby so I can have an excuse to own all these teeny tiny cute baby things!